Here's what I'm considering my permanent line up. Nothing is going to be leaving, and I don't plan on adding much either. Each one has a little bit of a backstory, and a lot have some custom work. Here's what I have, where it came from, along with any custom stuff along with who did said custom stuff. Need a Centerflag Uprising manual? PM me. This build actually starts with my first Westwood, which I bought from Ravi Chopra. You may recognize if here, or from his webpage. It would not be a stretch to say that this would be my favorite gun that I've ever had. 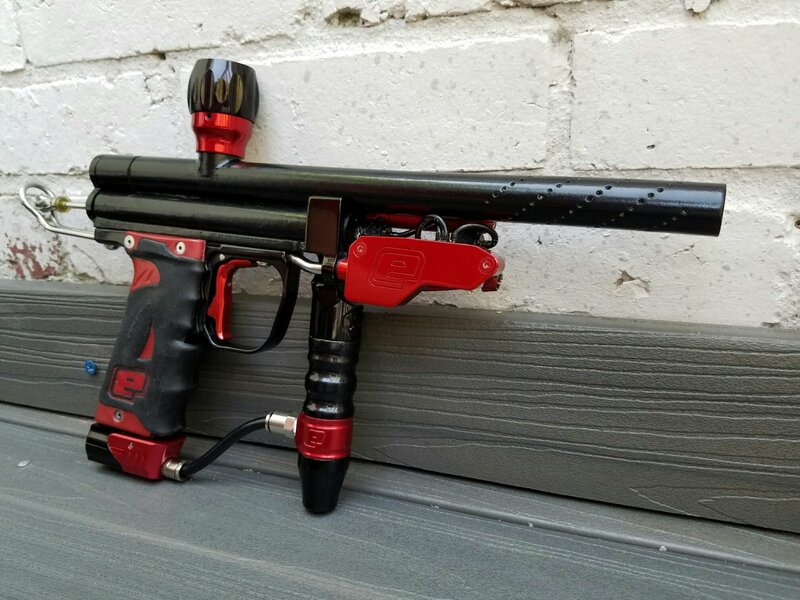 I had it for a few years, and loved shooting it. However, I always felt like it was Ravi's marker, I just happened to be shooting it. After having it a few years, Ravi asked that if I ever felt like selling it, that I send it back his way. Seeing that I grew up reading his articles and he got me into autocockers with me vicariously living through his reviews on a monthly basis, I did my best to find another and send his back home. 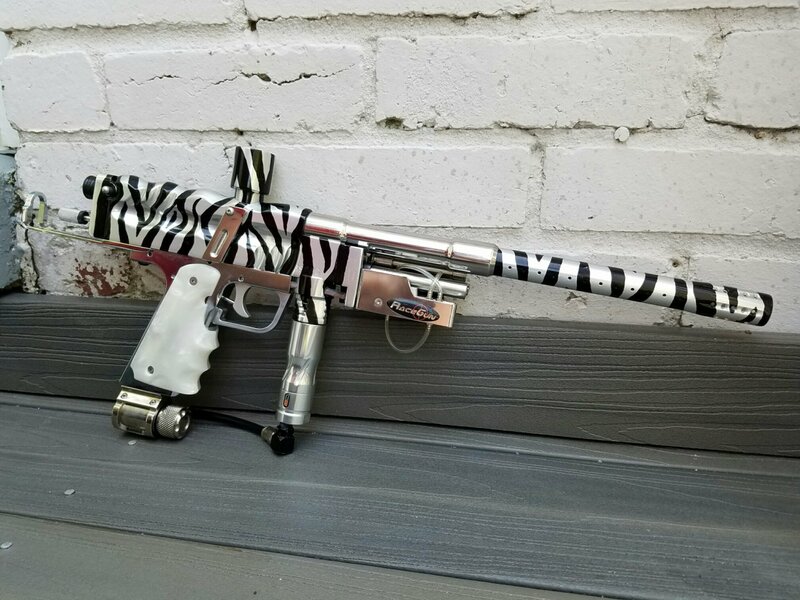 The new westwood I picked up was the Zebra Westwood, which is a racegun prototype---an electro. It isn't the same marker at all in terms of feel, so I went hunting for another. Luckily, I grabbed a RF Westy (1 of about 10) from Rennick on the Shocktech facebook page. I build that puppy up, and it was really nice---but I prefer a vert feed myself. As I finished that build, I got a PM from D3adpool, mentioning that he may have something I'd be interested in. He had picked up 1 of the 2 Post-2k Westwood Prototypes, getting it from Gunhero, and wanted to see if I might want it. He didn't need to ask twice (thanks buddy!). The RF went up to Alaska (enjoy Jake! ), and I got started on building the probably one of a very few brand new Westwoods from scratch in the past 17 years. I got started with this, and built it with the inspiration being Ravi's Westwood. You may notice a few things here. First, every single mill line along the waves is still there. It doesn't have a matching backblock. The frame that you see here, a P&P, was swapped out for a Shocktech prior to shipping, and was no longer with the marker. Also, what you can't see is that the feedneck wasn't cut to fit, and wasn't installed. Also, the reg in the picture disappeared prior to getting shipped (literally none of this was on D3adpool, he's good people). So, I went to work. 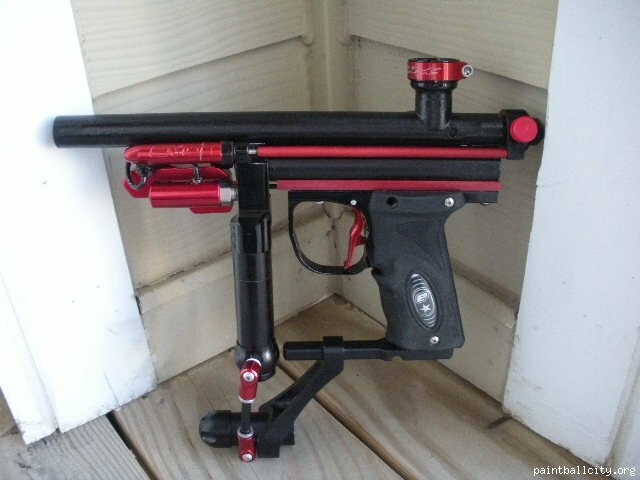 I hand polished out all of the milling lines, reshaped a Shocktech backblock, and tried to picture Danny at BBT building one of these. So, I changed the gameplan up a little. 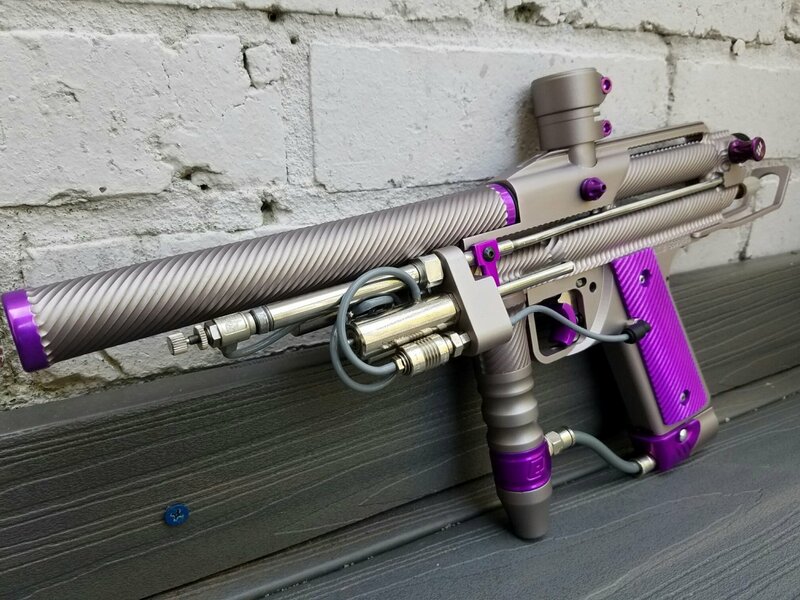 I went really Shocktech heavy, as by 2000, they had a lot of their own parts in production. In came a Shocktech backblock (reshaped using a file, dremel, and sandpaper to better match the flow of the body), 2k bolt, 2k front block and banjo, Roller Sear, Rat 3:16 valve, Phat hammer, cocking knob, beavertail, ball detent, frame (not pictured---there is a matching single trigger ST frame), trigger pants, complete chrome front end, and to round it out, on/off asa. 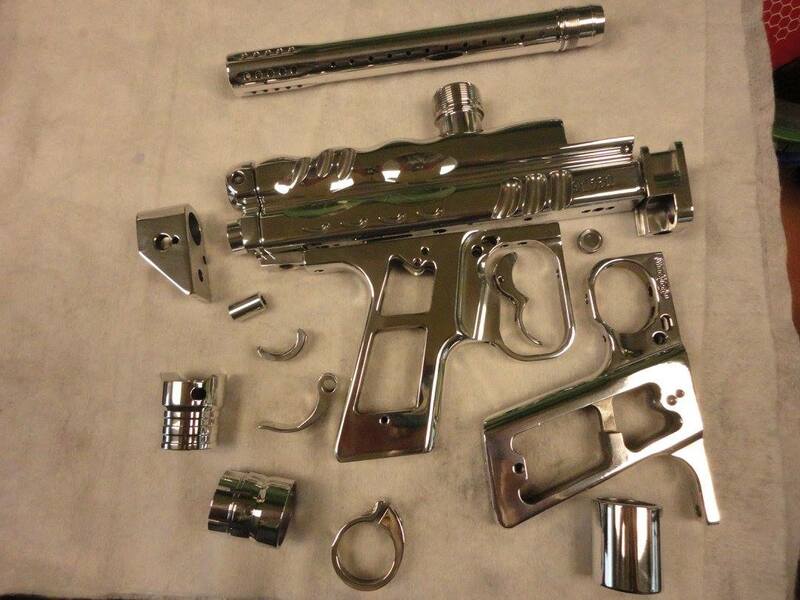 Also, because it is emulating Ravi's marker, I picked up a double trigger frame, titanium trigger plate, dye wheel backblock and bolt, double trigger shoe, gladiator reg (matches the VASA milling), a dye barrel with a freak bored barrel back, and a locking feedneck to go along with the smokestack style. Also, I decided to use EvilFafner's cocking rod, because that little bugger is just useful. Here's everything prior to shipping. Had everything gathered, now I needed to pick an ano guy. Frankly, there were only a few choices that I could trust to do what I wanted. If you're going to build a Westwood from the ground up, to me, you should do it right and do the clear-to-blue-to-black reverse splash fade. PK Selective were the guys for this in the 90s. 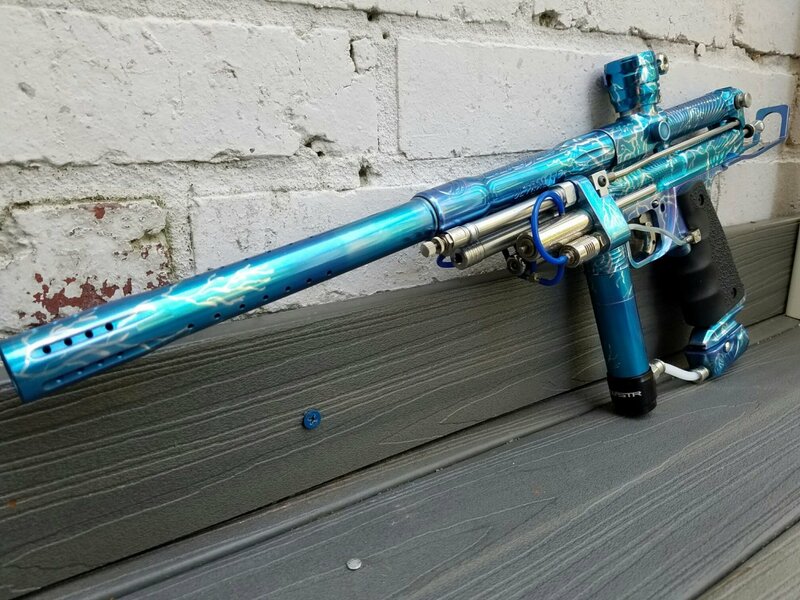 Well, they aren't around anymore in the paintball world. 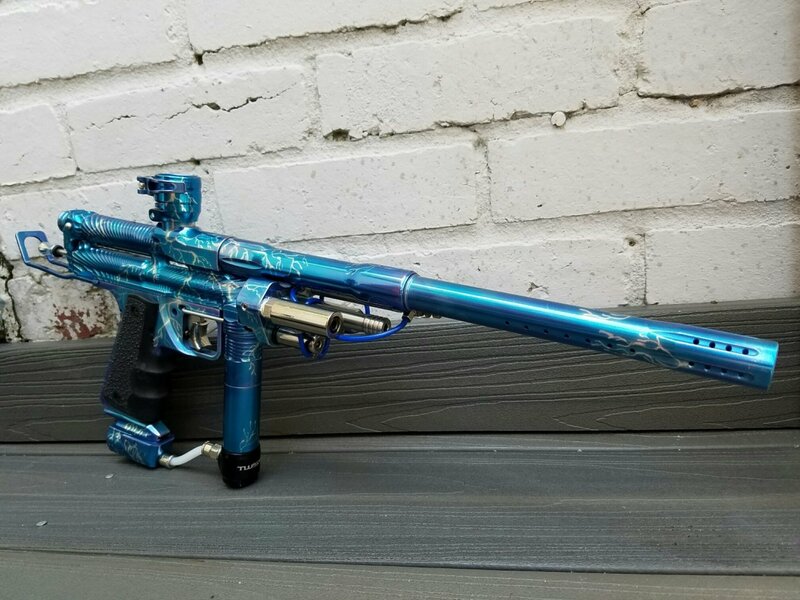 So I contacted one of the only people I would trust with this job, Caustic Customs. Here it is in his very capable hands. To me, he absolutely knocked it out of the park on a technically very difficult project. I will also say he was great to work with, had fair pricing, communicated well, and stuck with the time frame I was quoted. I would not hesistate to use him again in a second. And, here it is in all it's freaking glory. As I would guess, one of if not the last brand new Westwood builds done in the past 17 years. I give you 1 of 2 2K+ Westwood Prototypes, Dragonfly Milling. I happen to know that the other one is on it's way to getting finished, and there will be a sister build done shortly by it's owner. I look forward to seeing it completed. 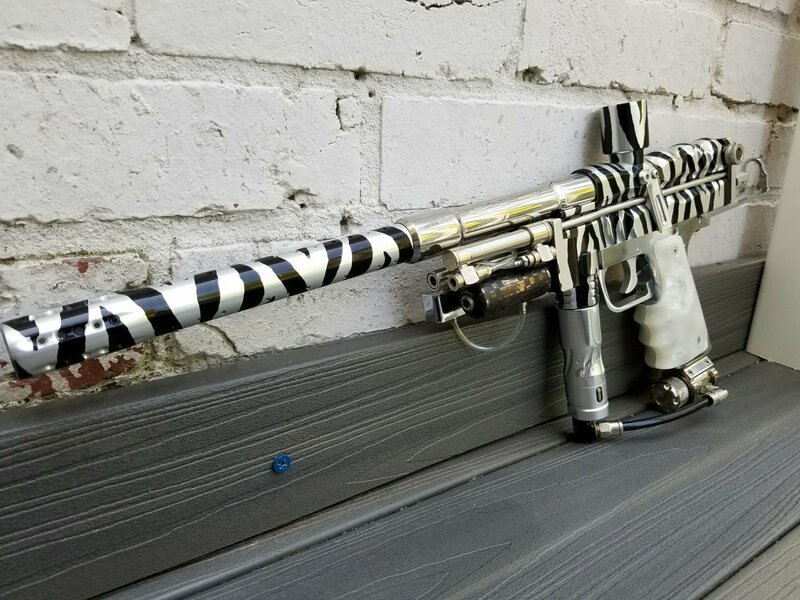 The Zebra Westwood was a show piece put together by Racegun to show off what they could could do as a company. I got this from UThomas, who had owned it for a decade prior to me getting the marker. 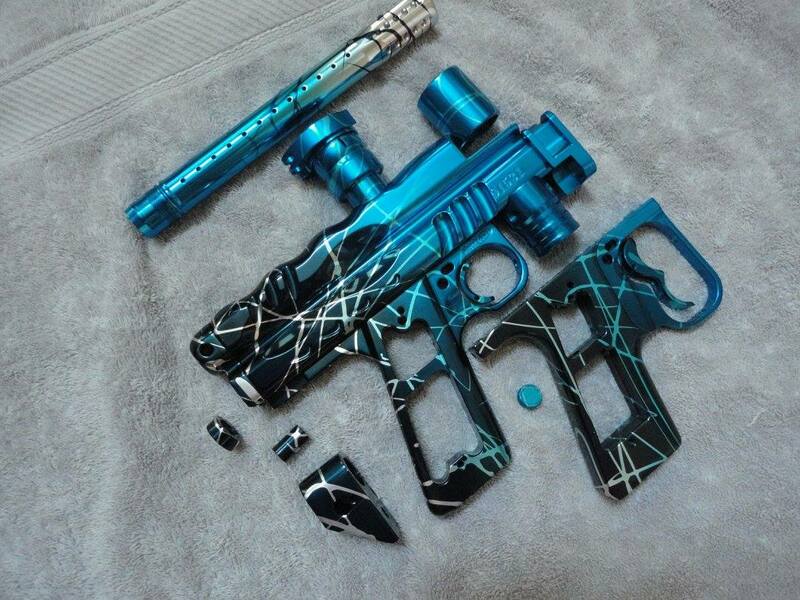 Per his website, "I like this particular one because of the sick zebra anodizing done by G3 Paintball. 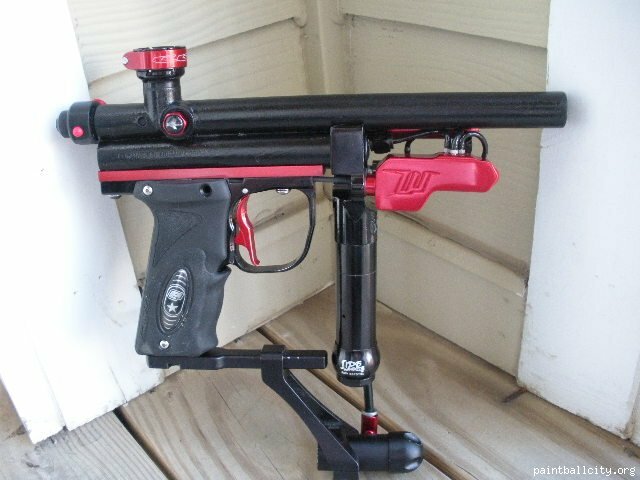 Interestingly, there are a few additional custom features including a custom STO type back block and Eclipse Dart bolt turned to take o-rings. 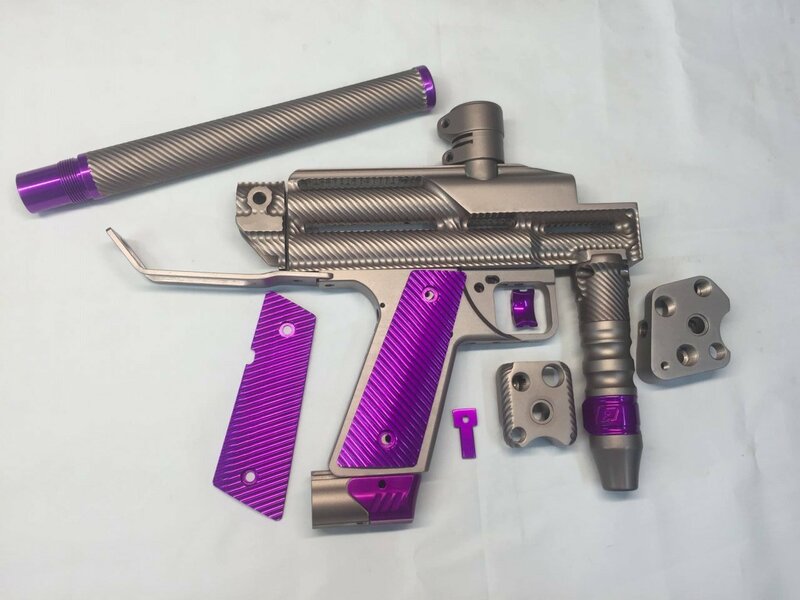 I had to have this shipped over from Europe, and am still searching for a few of the match anodized parts. 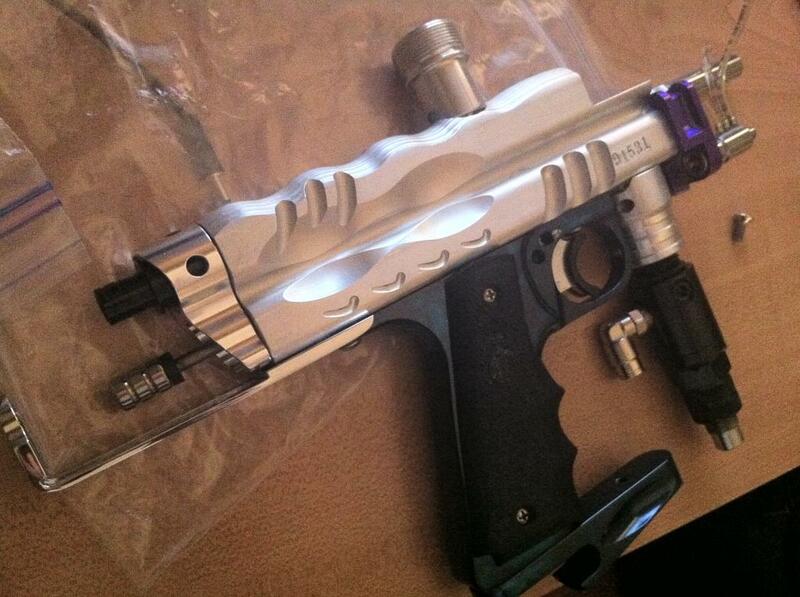 I had a 05 chrome race frame on it with top of the line pneumatics and internals from Eclipse/Belsales. Never seen anything like this before or since I picked it up. 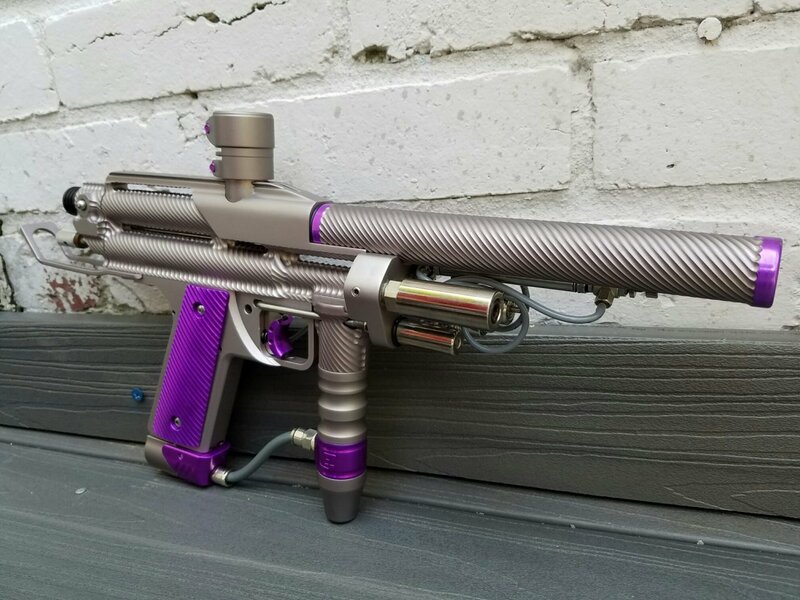 This marker won Gun of the Month "Best in Show" for January 05 on www.automags.org." and " To my knowledge Westwoods came in 2 flavors - 2 dish and 4 dish bodies. This is a 4 dish body. Racegun (in Denmark) said it took 5 tries to make custom eye covers for this thing. I bought it already drilled for eyes unfortunately, but I think I made the best of the situation. 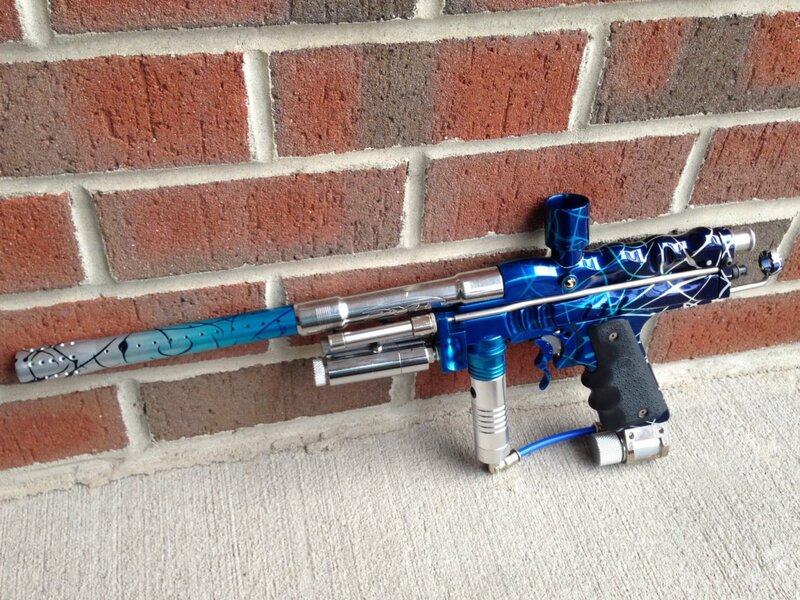 This gun stock in mech form would have just been absurdly cool." 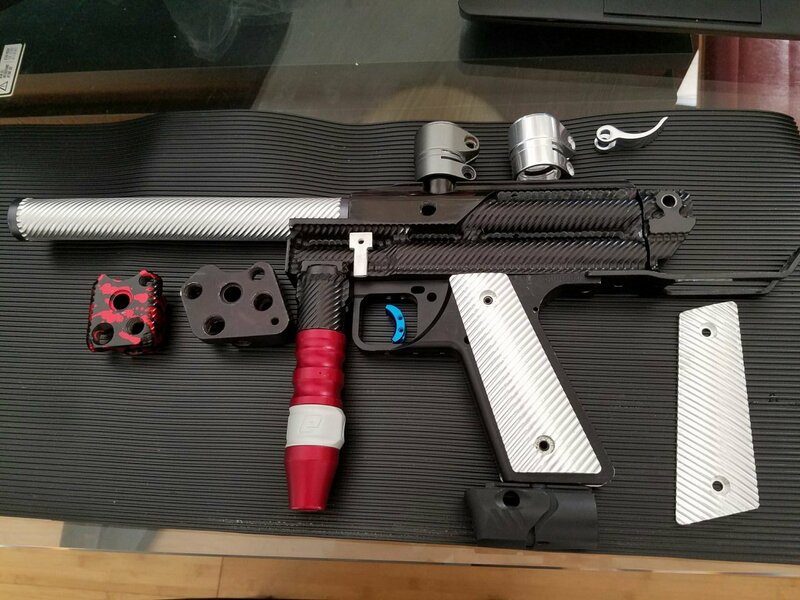 I decided to pull off everything that had been done by UThomas that had basically turned it into a Westwood Evo X and make it back into a monster Racegun. 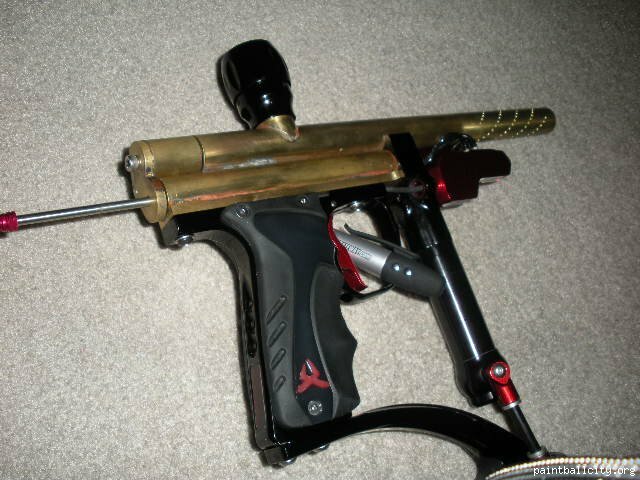 I tossed on a single trigger Racegun frame, Palmer ram, jam bolt, and wrap around Pearl grips, and sent it to Nuke. Nuke helped finish it off by timing it, adding the Race Rock, QEVs, Noid, Noid cover, and ASA. I owe him a huge thanks for getting it up and running. Now, it's back to showing off like it was built to do. I really, really like this one. I also recently added the beavertail and the Eclipse cocking rod. 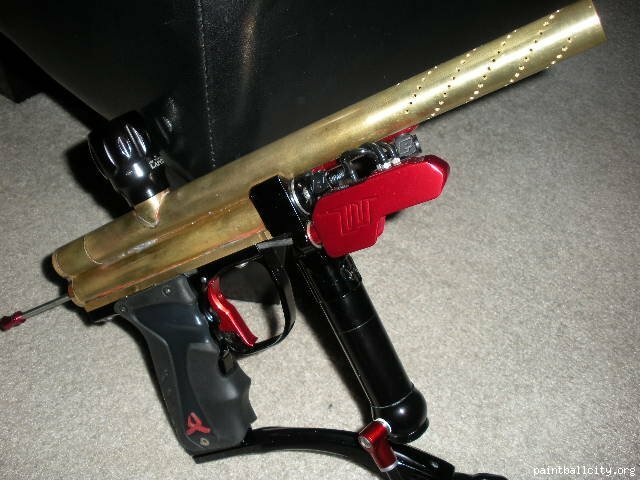 Basically, it's fully decked out with the same stuff that you'd get on a DC2, along with a MQ2. And it definitely sees the field. So, naturally, I decided to fix the problem, and recreate it with something that's really my style, a Reflex Kit. This whole project started off as a vert feed Twister Lite that was missing it's front block. However that missing front block wasn't a problem, as I already had an extra one, and a Reflex kit. I don't really love Twister Lites, so I decided to do something about it. I contacted Adam Cable to do his Punch-Through milling to it, and also to make it a bit more useful and give it the Ego Feedneck Mod. I also had a screw get stuck and break off in the reflex frame. With it either needing a new hole drilled for a bottom line, I decided to go another route and have the frame milled to take the POPS by Atomic Customs. 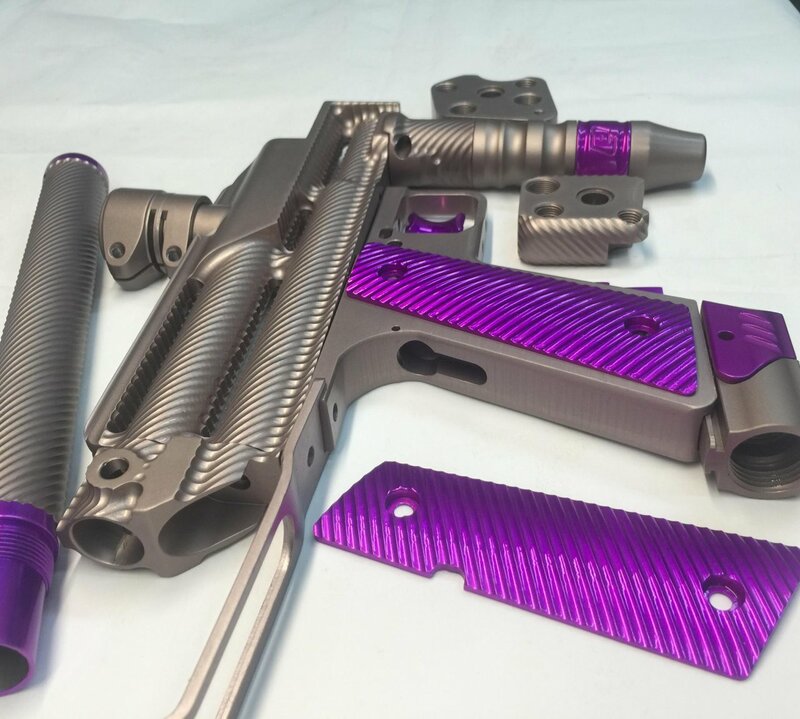 While that had been getting done, I spoke with my teammate Ty McNeer about milling grips for it and a twister milling a bull barrel (his thread for doing that milling: https://www.mcarterbrown.com/forums/b...0-twister.html). I also thought that we could do better than use the normal delrin reflex arm, so I made a new one out of aluminum stock. Here's how that came out, prior to getting sent to ano. And here it is assembled. The main reason that I'm posting up to say a sincere "Thank You" to those that helped me in the build. Those people, Ty McNeer, Adam Cable, South Run Metal Finishing, and Cameron Gunlock, really helped the project come out as nice as it did, and helped me recreate something that I never should have let go. I really appreciate you guys! Thanks again! 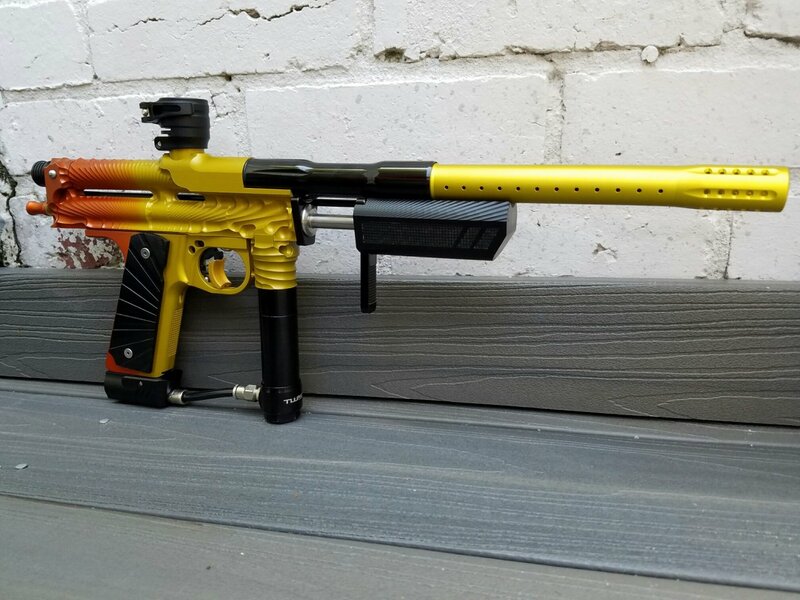 For the past couple of years, I’ve been speaking with Ttwo, Anthony D’Ambrosio, of Boston Paintball Supply about some of the major projects that they’ve had going on, and where they had plans on going in near future. 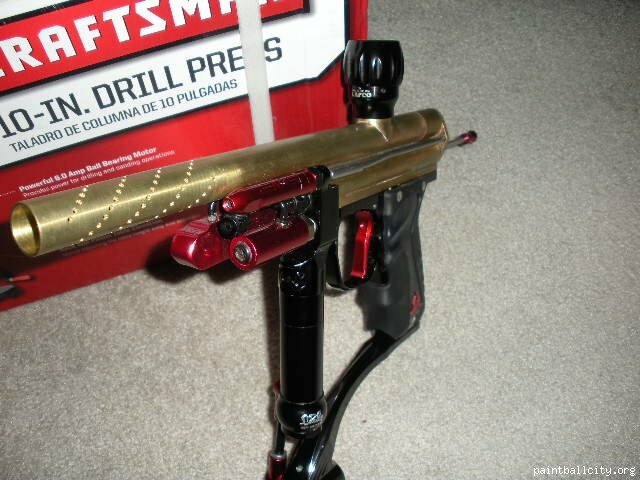 He originally reached out to me when I bought a Reflex’ed Twister Lite from him, and I ended up speaking with him for over an hour about autocockers, the disappearance of true custom label milling, and the crowd that would love to see this style of marker back on the market. His passion for the old markers, desire to see real, in-depth custom bodies (not just lazering or ‘limited-run color schemes’), and understanding of the target fanbase was obvious. 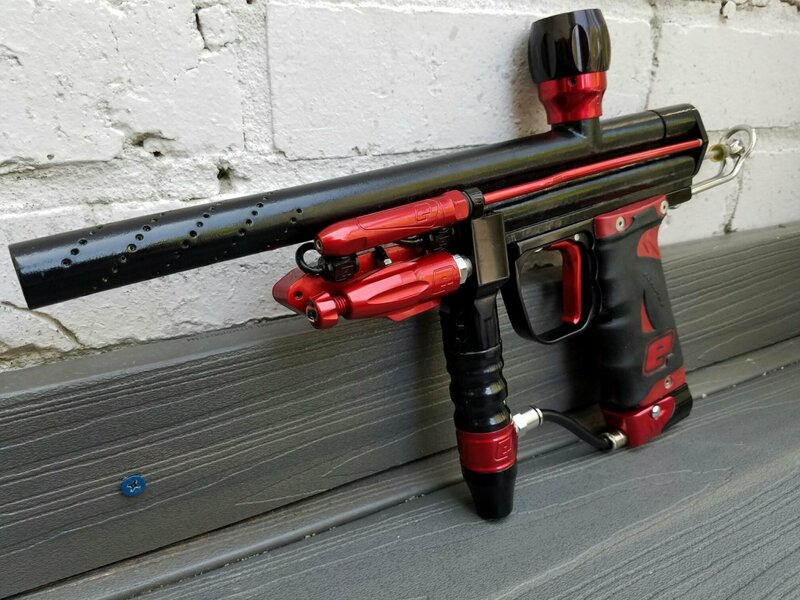 He and the good people over at BPS were able to translate that energy and enthusiasm, along with recent groundswell of support for the Autococker, into a revival of their their top-of-the-line Twister Autocockers into a brand new limited run of markers, the TWSTR. 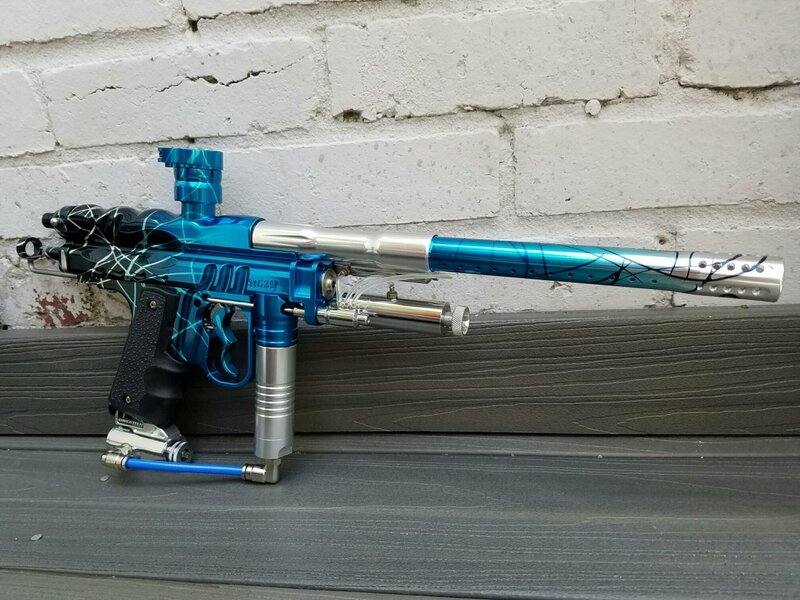 This TWSTR is the only one in the wild, and it's had a lot of custom stuff put on it since then. It has a new cocking knob from ANs, which is a bit of tribute to where this type of marker came from. It also has custom rods and grips from pdobrove, a masceroni barrel back, and yellow dye tip. It also has a new yellow trigger shoe, along with roller sear and black ano'ed and milled trigger plate. It also has SLPS springs to lighten it. This is my go-to pump. This is my F5. It was ordered within a minute or so of them going on sale, and I knew what I wanted to do with it right away. 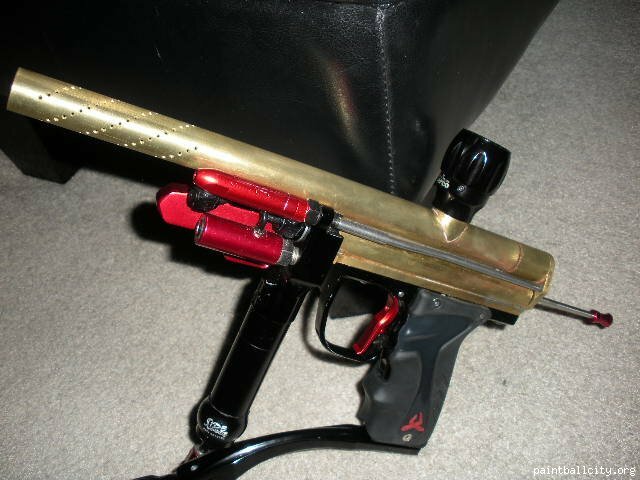 It does have the pump kit and a slide and normal front block with palmer's pnues and the AKA LPR. It is pictured here as it sits though, and that is packing a reflex kit. 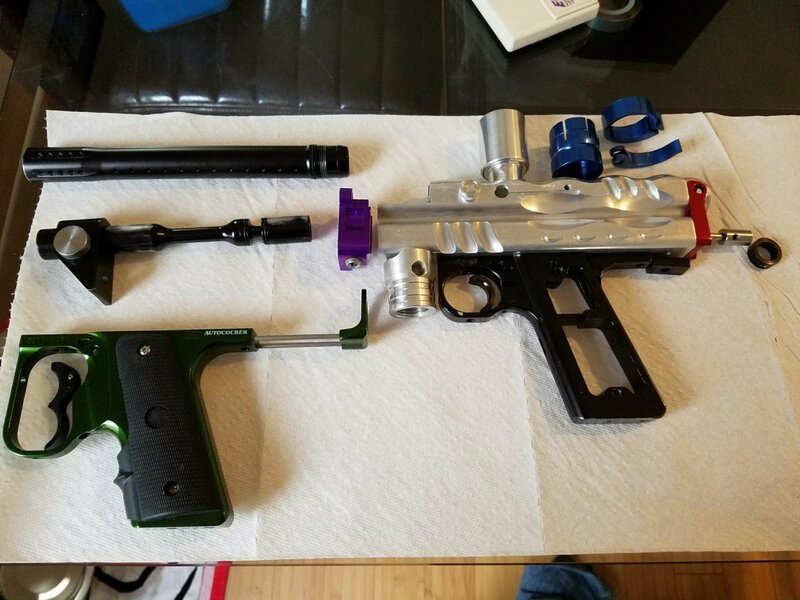 In order to do this, Addicted2Dunes milled me an adapter to take it down from a 2K size to Pre-2k, and I made an aluminum arm to connect the on/off and the pump arm. Along with the Reflex kit, it also packs a match ano'ed jam bolt, the longer cocking rod, and beavertail. 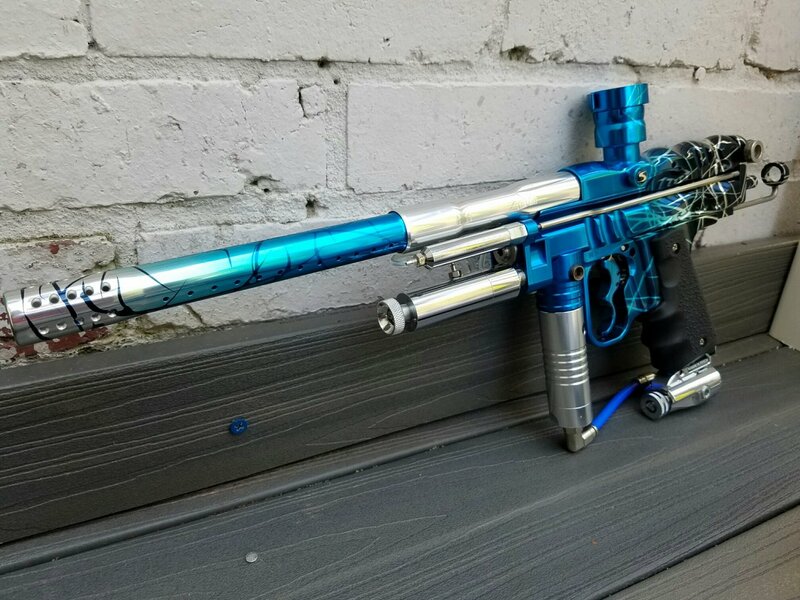 The Thunderstuck ano was done by Arc Ano, and came out really well. If you notice, the bolts actually connect throughout the marker. 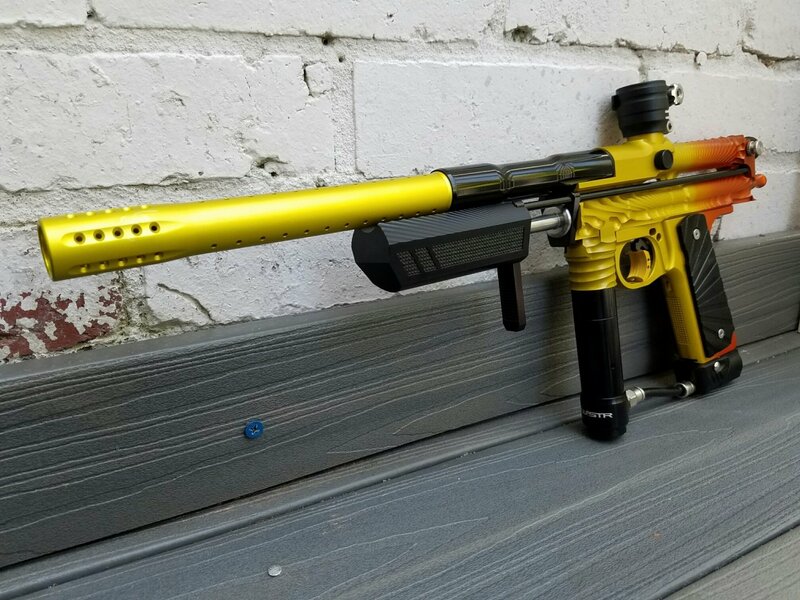 Really well done, and obscenely fun to shoot. Dark Lord of The S.M.I.T.H. All beautiful. 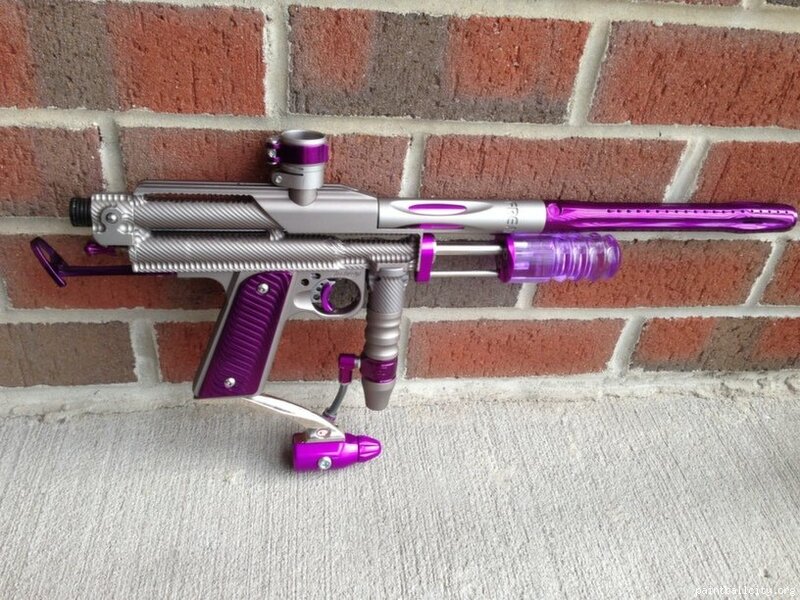 My favorite is that new twister with the milled barrel to match and the purple accents.